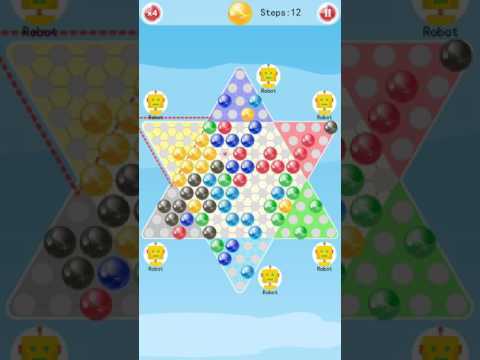 Chinese Checkers (US and Canadian spelling) or Chinese chequers (UK spelling) is a strategy board game of German origin (named "Sternhalma") which can be played by two, three, four, or six people, playing individually or with partners.The game is a modern and simplified variation of the American game Halma. The objective is to be first to race all of one's pieces across the hexagram-shaped board into "home"—the corner of the star opposite one's starting corner—using single-step moves or moves that jump over other pieces. The remaining players continue the game to establish second-, third-, fourth-, fifth-, and last-place finishers. The rules are simple, so even young children can play.